There are a number of cases for the PlayStation Vita on the market, and curiously, not all of them are billed as cases. Some are merely containers; some are just silicone overgrips; even others are sold as ergonomic enhancements. 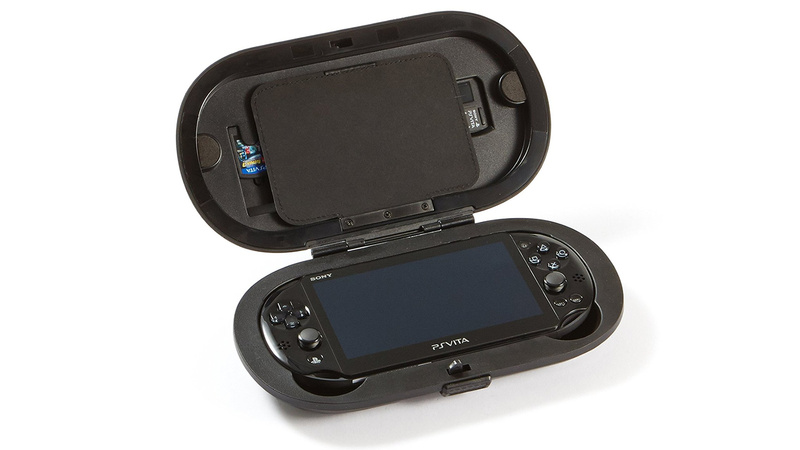 Regardless of how they're advertised, some of the most popular accessories for the PlayStation Vita offer case-like benefits, namely simple protection from bumps and scratches. 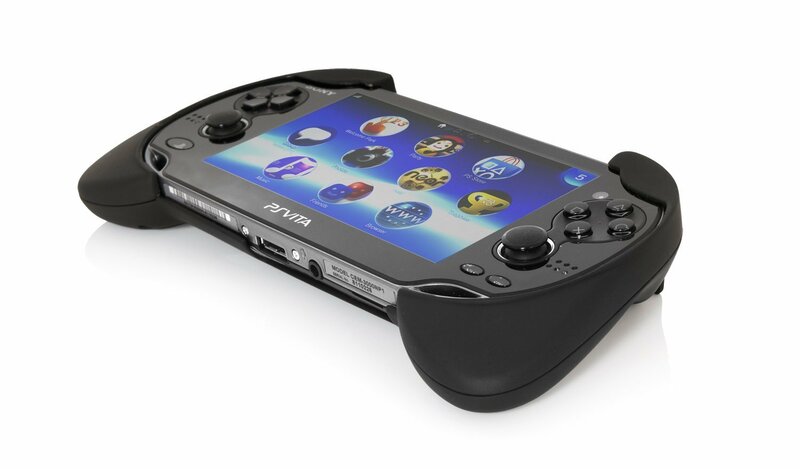 Read on to discover our choices for the Best PlayStation Vita Cases. It's pretty easy for most people to care for a handheld system given that its always in their hands. For those types, protection may be most needed in the times when they're away from their handheld. It goes without saying that the mere act of setting the Vita down someplace can come with its own nuisances — a dirty surface can scratch the case, or something or someone could accidently knock it to the ground. Fortunately, such issues are easily remedied by a travel-oriented case, which provides both a convenient storage location and moderate protection. Good ones like the CTA Digital EVA Protective Case ($10, via Amazon) provide a cozy, fabric-lined place for Vita owners to store their system when not in use. 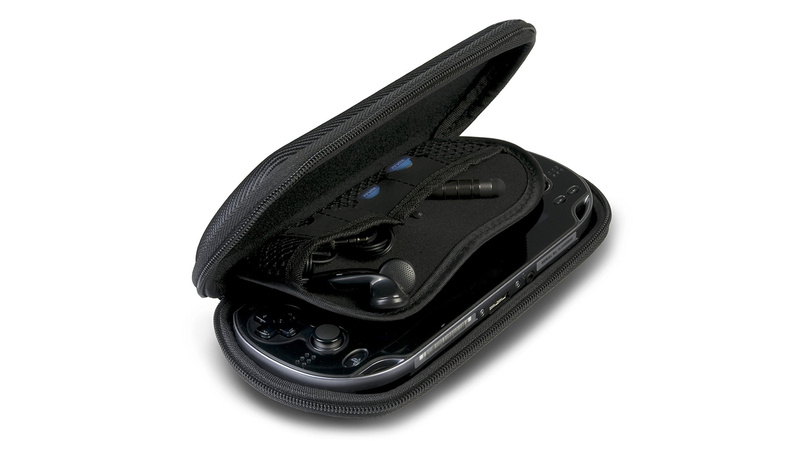 As a bonus, the case can store a number of Vita games or memory cards and additional accessories like earbuds. Players who want the convenience of a travel case with a little added protection might be interested in a shockproof case like the co2CREA EVA Shockproof Travel Case ($12, via Amazon). Like other travel cases, the co2CREA case comes with the usual zippered enclosure and pockets, but beefs up protection with bubble-like cushions lining the Vita storage compartment. 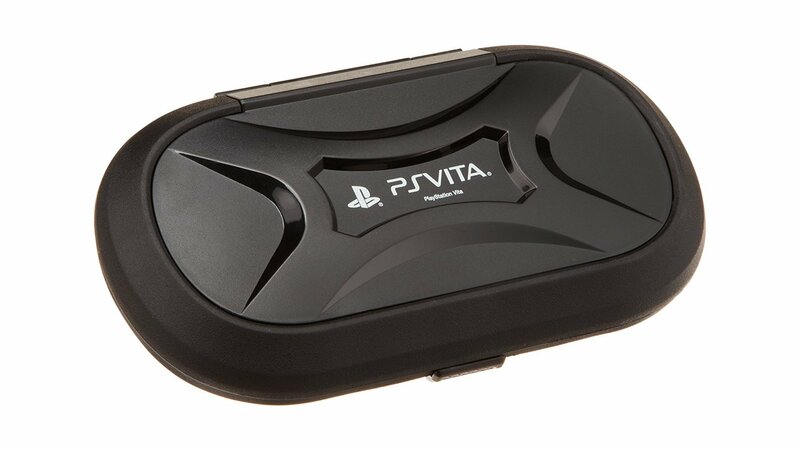 The case is also slightly larger than others, which should be better suited for Vita systems sporting a snap-on crystal case, and it includes a mesh pocket opposite the lined compartment that should be big enough for a charging cable or other accessories. For those who know their PlayStation Vita is going to be kicking around in rough conditions — be it in a school bag or out on a hiking expedition — nothing beats the protection of a hard case. And it just so happens that AmazonBasics makes one that's been officially licensed by Sony themselves. The AmazonBasics Heavy-Duty Vault Case ($15, via Amazon) features a molded outer shell and a dual-layered interior specially-shaped to accomodate both Vita and Vita Slim systems. 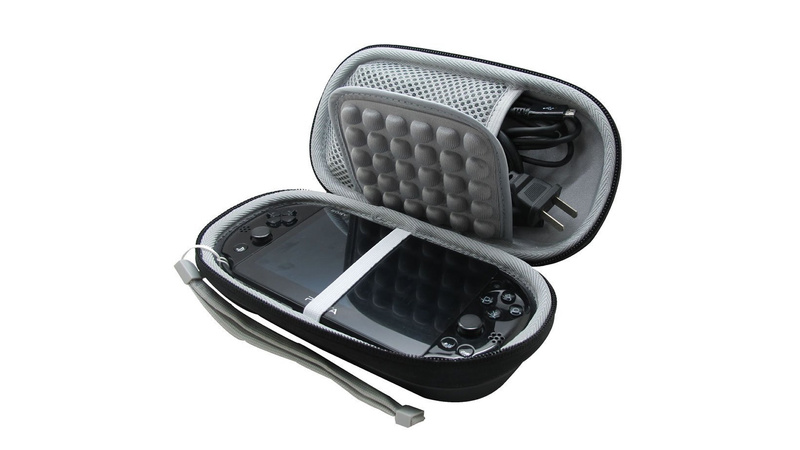 It also has storage space for games and a rubber-sealed lining for added shock protection. Sure, it isn't what most would consider to be a case, but the CTA Digital PS Vita Hand Grip ($10.35, via Amazon) does offer some protection. In fact, it's perfectly capable of shielding Vita systems from the likes of rough surfaces as well as acting as a cushion for the hard knocks all items kicking around inside a backpack inevitably experience. That's only a bonus, though — the real point of buying such a contraption is for the improved ergonomics. On that front, CTA Digital's grip seems to be the popular choice, second only to the powered offering from Nyko. Same as with other grips, the protective offering from the Nyko Power Grip ($29, via Amazon) is minimal; it'll stop a few side-on bumps, but that's about it. 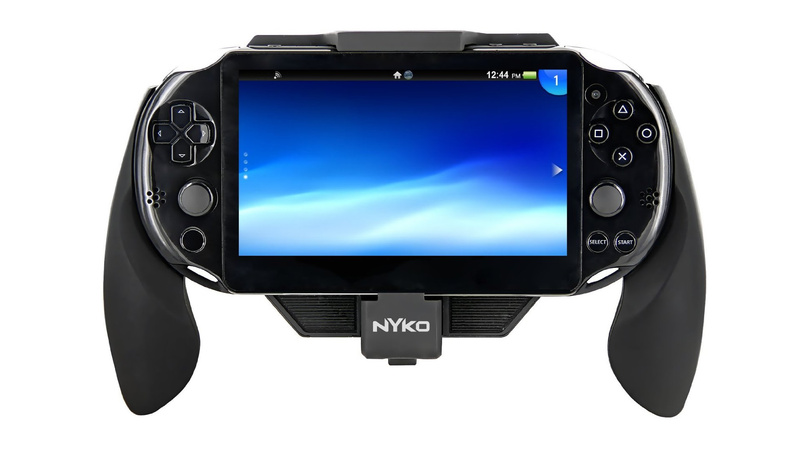 However, Nyko's offering not only provides improved ergonomics, it provides an added battery bank that boasts up to 100% more battery life over the Vita's stock battery. As an added bonus, unlike the offering from CTA Digital, the Nyko grip allows for charging while in use — just be careful not to jostle the USB connector, as they are known to be fragile. The last item on this list is kind of a hodgepodge. The PDP PS Vita Trigger Grip ($60, via Amazon) has all of the trappings of a normal case: it covers Vita systems on the top, bottom, sides, front, and back, and features cutouts for the rear touch pad and camera. It's also made using a combination of hard plastic and a soft rubber with a satin-like finish. It's not a case, though, or at the very least it isn't being billed that way. No, instead it's being billed as a PS Vita grip, with extended triggers over the system's shoulder buttons being the main selling point. On that front it certainly seems to work well, and it's also one of the most popular Vita accessories around, likely because it carries the distinction of being officially-licensed by Sony. 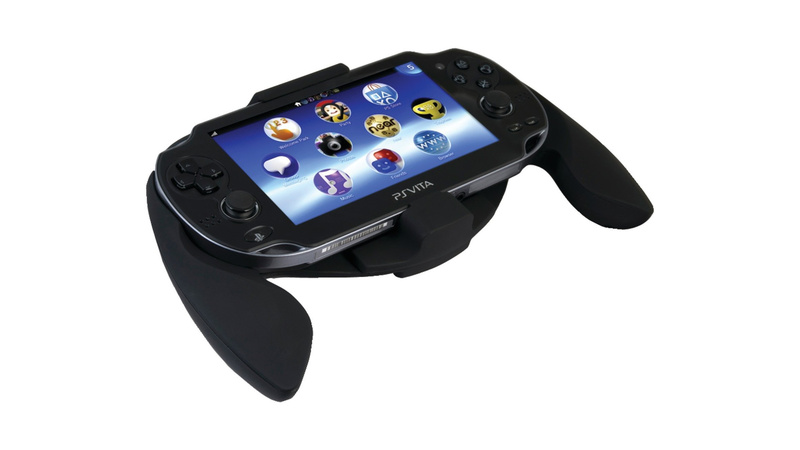 Despite not being called a case, the PDP PS Vita Trigger Grip is a solid all-rounder for players looking for gentle protection from the occasional knock or drop and added comfort while playing.